Abbey, 18 months old. 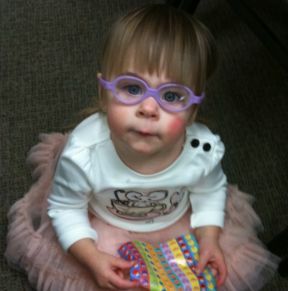 She wears glasses for strabismus and amblyopia. Her frames are Miraflex.